Now, fast forward 15 years. 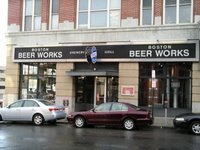 Many, many beer establishments have come and gone. Much has progressed in the world of craft brewing. 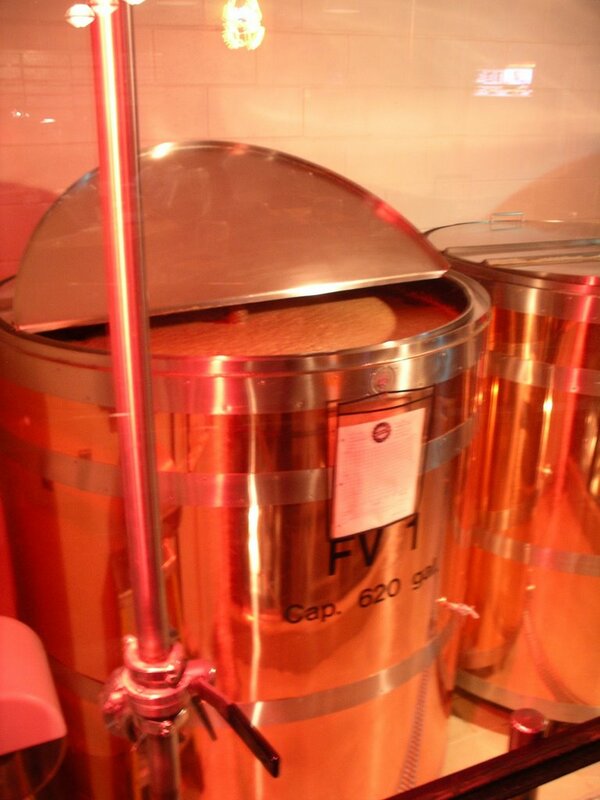 And, whatever you call it now, Beer Works is still around. When Patty and I went into BW on this particular Sunday afternoon, I was in much better condition than 15 years ago and these memories are much more clear, mature, and responsible! The imagery, though, was slightly, in a hazy way, familiar. This is a large location. 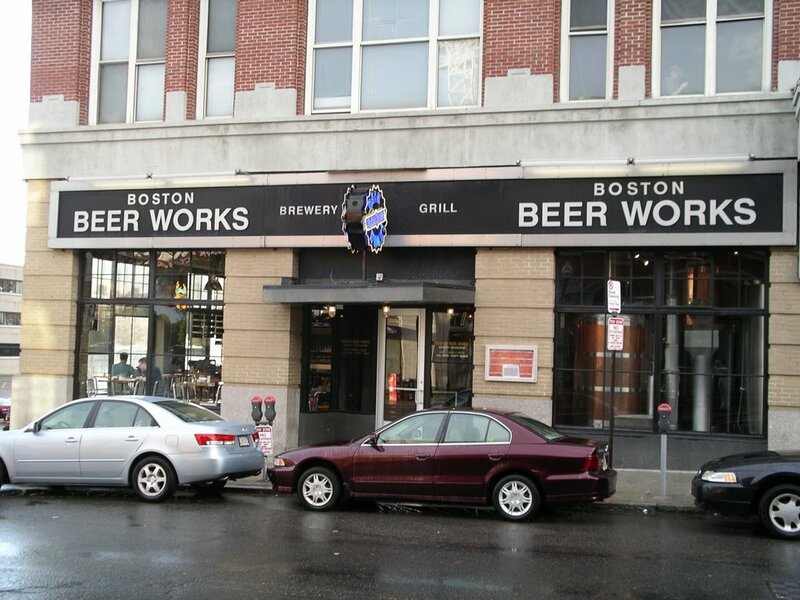 Oh, I should mention, that this location by Fenway Park is just one of three locations. The other two are in downtown Boston and Salem, MA. 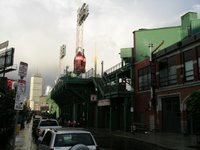 It is quite apparent that BW is a hoppin' place when there is a game at Fenway. The bar area is large and TVs aplenty to provide a very conducive sports atmosphere. 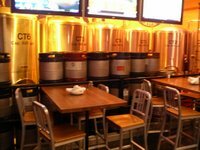 Though, I happy that we were able to visit on a slow Sunday afternoon to get a vibe for their attention to the beer details. You definitely get a beer and baseball theme from the second you walk inside BW. 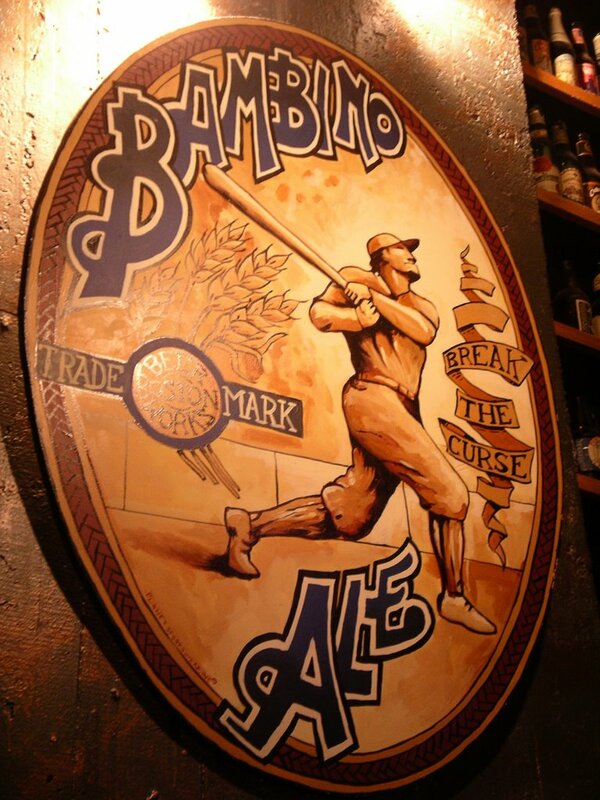 There is all sorts of baseball memorabilia on the walls interspersed with beer clothing, glassware, and posters. There is a smaller bar, which can be partitioned off for private parties, to the left of the front door. 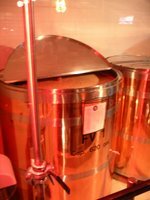 Walking farther in, the larger, main bar is set back to the right with the fermentation and serving tanks situated around and behind it. The dining room fills the remainder of the large room. 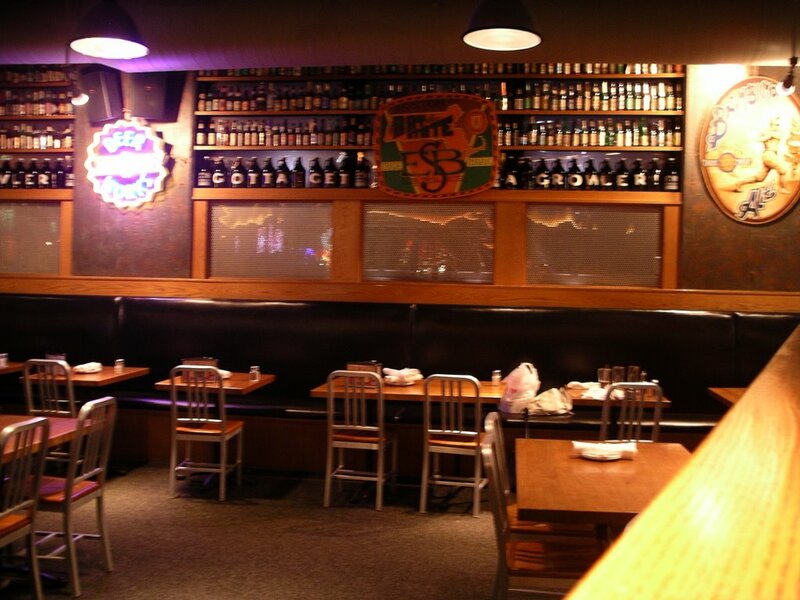 All tables and barstools are within easy view of a TV to provide all the latest sports action. This was the last stop on my Great American Beer Tour during Craft Brewing Week. So, my first interaction with the staff was at the bar to get the last entry filled on my passport. The bartender was friendly, gracious, and patient as I felt inclined to share the story that I described in the first part of this review. Then, Patty and I began our beer and food sampling. In addition to keeping approximately 15 tap lines going, BW also has quite a varied and interesting food menu. We decided to start with one of the house specialties, the french fries. They come with a variety of seasoning/toppings. For dinner, I had an amazing pork tenderloin, stuffed with spinach, chorizo sausage, and topped with a spicy chili and corn sauce. So, what did we have to drink with all of this excellent food, you may ask?! Our server, Kelly, was our perfect host who was more than willing to get (me especially) as many samples as I asked for. The Back Bay IPA was a good representation of the style without being too aggressively hopped. While I do like the overly hopped beers, with dinner the Back Bay IPA was perfect. The Victory Red, the Beantown Nut Brown Ale, and the Buckeye Oatmeal Stout were all also very solid beers that well showcased the malt and hop balance. These were all very drinkable beers, and I am saying that in a good way. The samplers that I received of the ESB, the Bambino Ale, the pale ale, and the porter all continued the theme of decent beer being produced here at Beer Works. Then, to demonstrate their creative flair, I received a sample of the Berliner Weisse. This is a style that I am not all too familiar with outside of its reputation. Nodding Head, here in Philadelphia, has won numerous awards for its interpretation. I was warned by Kelly that the Berliner Weisse is an "acquired taste" and very tart. Contrary to her warnings, I did not find it to be overpowering. It seemed to be a more tepid style than some of the more "in your face" sour/tart style beers. 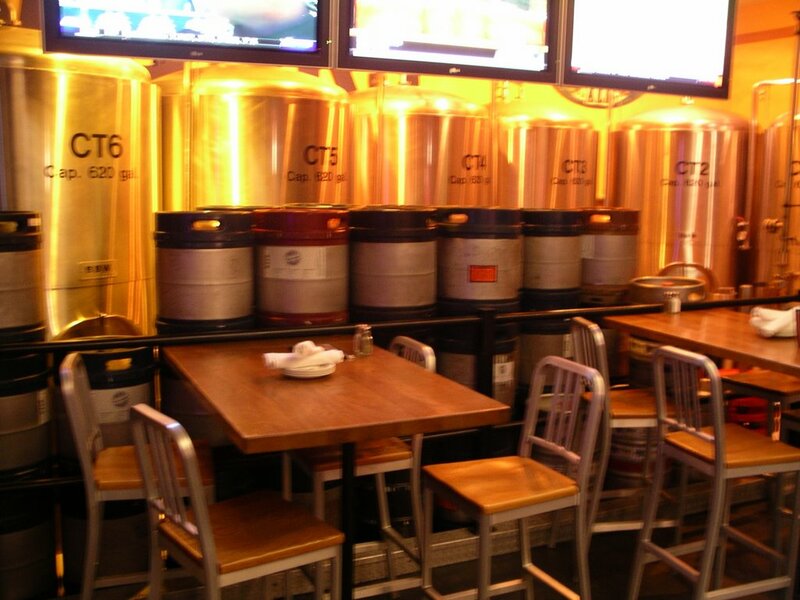 Overall, as you can tell from this long-winded, two-part diatribe, I recommend Beer Works. While I did not visit the other two locations, my bet is that you will get decent beer and food at any of the locations. 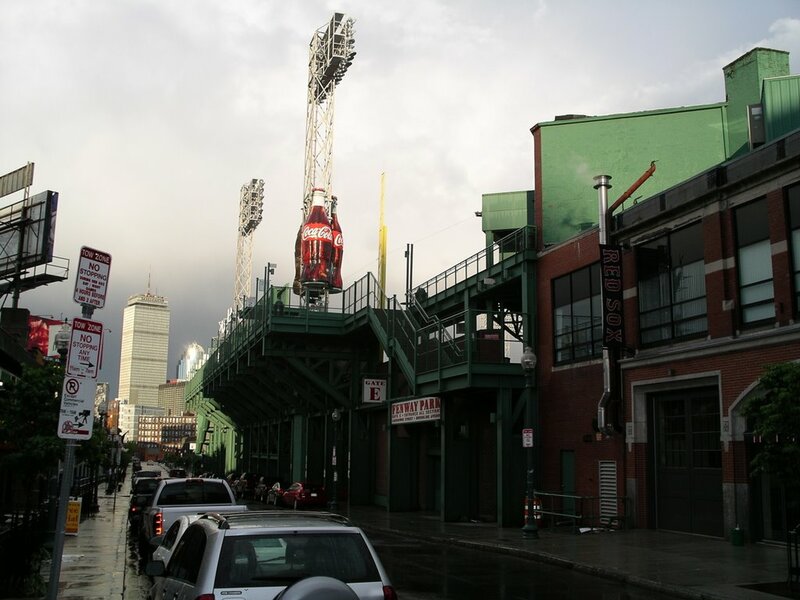 At the Fenway location, you will also get a baseball atmosphere and if you are there on gameday, perhaps a bit of mayhem also. But, if you are looking for the chance to appreciate what they are doing with beer and food, make sure there is no game scheduled during the time of your visit.